Oil Seals are also known as an Radial Lip Seals, Shaft Seal, Elastomeric Lip Seal, Grease Seals and Dust Seals our Rotary Shaft Seals help prevent lubricant leakage by retaining the fluid within the application while simultaneously protecting it from intrusion of harmful external contaminants. Oil Seal Styles include Rubber Covered, Metal Cased and Totally Metal Enclosed. 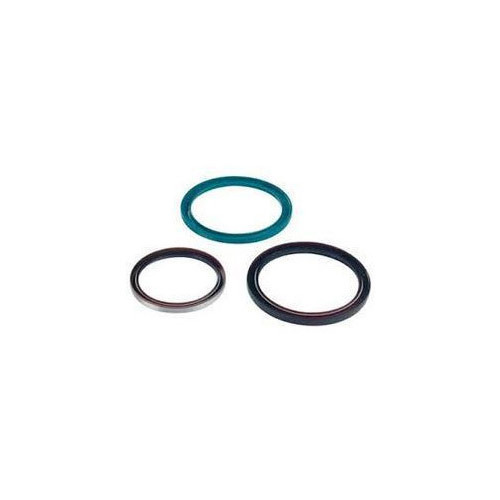 These Oil Seals are available in Metric and Imperial sizes and in many materials including Nitrile (NBR), Viton® (FKM/FPM), Silicone (VMQ), Leather, PTFE, Polyacrylic (ACM), Neoprene (CR). Owing to our ultra modern infrastructure unit and vast knowledge, we are engaged in offering a wide array of Viton Rotary Shaft Seal. This seal is thoroughly inspected by our skilled team of professionals to ensure leak proof nature. It is manufactured with fine quality of raw material which conforms to safety standards plus with the aid of sophisticated technology at our efficient manufacturing unit. Our clients can avail it from us at reasonable price with no hassle. Looking for “VITON ROTARY SHAFT SEAL”?